Now that our weather has finally turned for the better (pretty sure for good now), I'm itching to get outside to start cleaning out the flower beds and get planting! Gardening is another passion of mine and seeing the buds forming on everything is so exciting. I'm ready to get some color back to our exterior! But I'm on a mission inside the house too -- and I'm determined to finish up before I allow myself to start outside. I need to self impose deadlines on myself like that or it will never get finished. I'm a HUGE procrastinator. I'm going through our home bits at a time, using the Konmari method I told you about here. I've been implementing it for the past eight months or so and it's working. 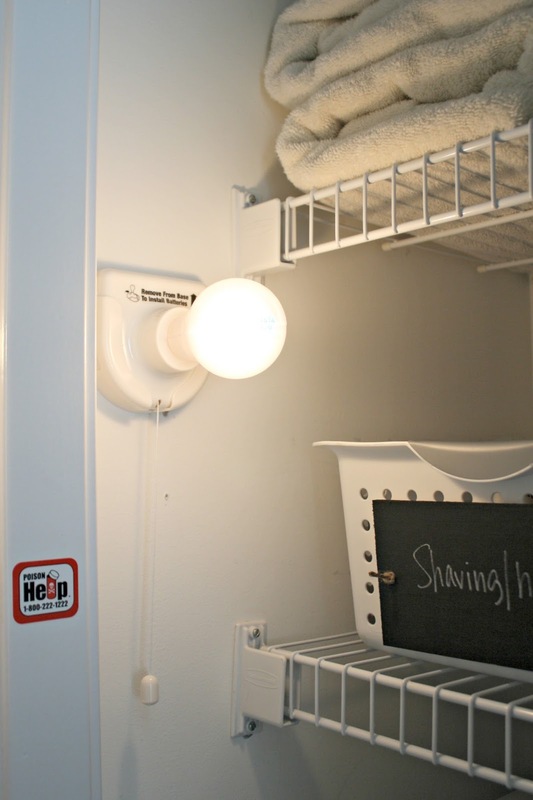 Our house is more organized than ever and it stays cleaner with minimal effort. I really thought our house would never feel like this but it's happening, slow but sure. My latest project was all of the toiletries. Our master linen closet holds most of them for the house and because of the way I've organized it over the years, it wasn't a total disaster to start. I use bins to organize everything and that works for us for the most part. Over the past year or so it was harder to find exactly what we needed because someone was tossing random items in bins. I'm totally throwing my husband under the bus here if you can't tell. I never do that but the man does not pay attention to labels. I try to explain to him that they are his friend, but he doesn't agree. In his defense, the labels I had on them were small and some had fallen off. But still. I've discovered as we get older we are going in two different directions as far as stuff in the house -- I find I need and want less and less and he feels the need to stock up more and more. I find that to be true pretty much 100 percent of the time when it comes to purging and organizing. This is the moment when I have to walk away for a little bit and take a break because I get overwhelmed. I come back refreshed and ready to go. I went through every bit of the items we had in there -- down to little bottles of nail polish that I don't use anymore. I consolidated what I could -- have you ever noticed how big the packaging is for so many items? I hate wasted space so I did things like take the random bandaids out of boxes and put them all together in a Ziploc bag. I've always kept extra lotions and items because of a mentality I've had all my adult life -- hating to waste items. I'm realizing that letting items sit forever without using them is just as wasteful. Now, if I don't like the scent or don't love it in general, it goes in a donation pile. It's been a really long process and taken a big change of the way I look at things to get to that point. I drilled holes into each side and then attached them to the fronts of the bins with twine. 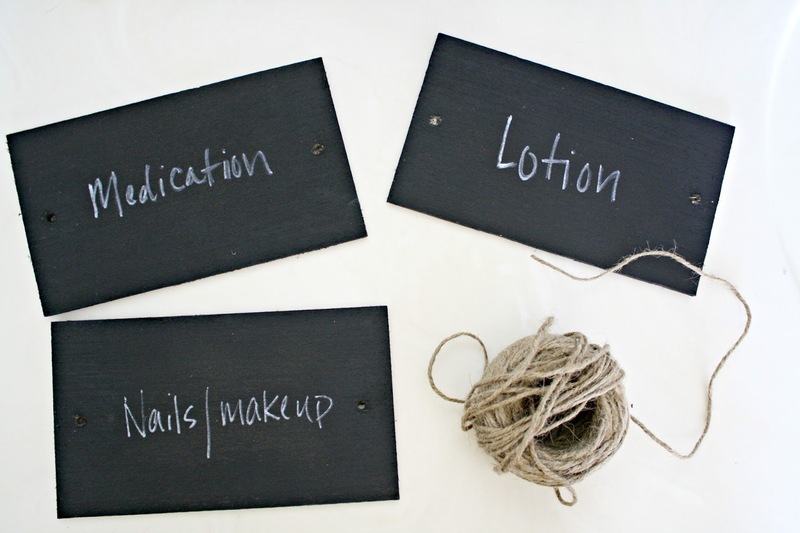 I use these exclusively in all of our closets and under cabinets. They are super sturdy, easy to grab, hold a ton and are really easy to clean. I showed my husband that we don't need to buy body wash or deodorant or lotion for like five years. 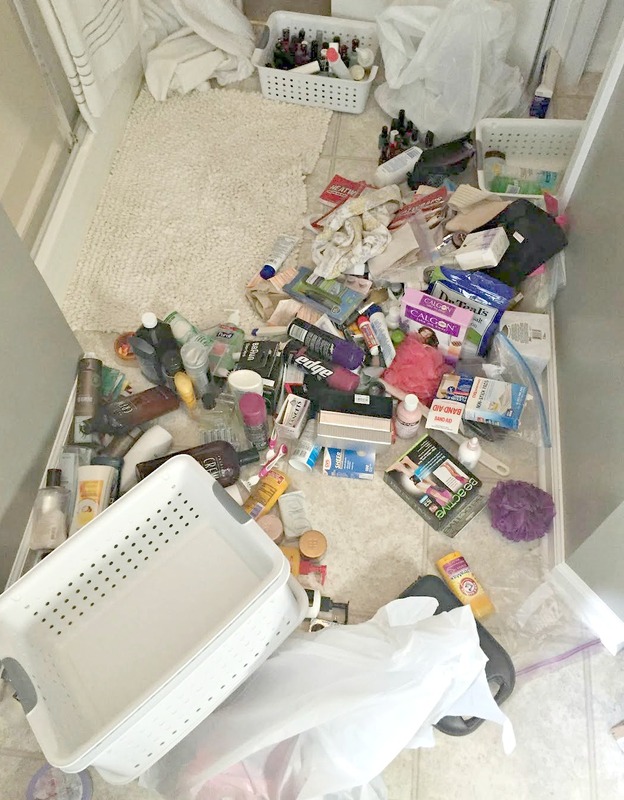 I've said it before and I'll say it again -- you spend less when your items are organized. I've found over the years that we purchase more of something simply because we can't find it. But now we're stocked up in case there's a national deodorant shortage so there's that. I'm so happy to have this spot done! Now I'm moving on to cleaning supplies. It really doesn't get more exciting does it? I mean, I know you want to come to my house today. Do you have any helpful linen closet tips? Feel free to share! My tip? Turns those towels around a 1/4 turn, so you see only one fold per towel. Looks less cluttered that way. I love this!!!! I need this for all my makeup and beauty products!! one pillow case folding nice and tight. Beach towels work well rolled and give a spot of color. Love the baskets and the lights I will be doing the lights in coat closet and linen closet soon. Organized and labeled - is there anything better?? 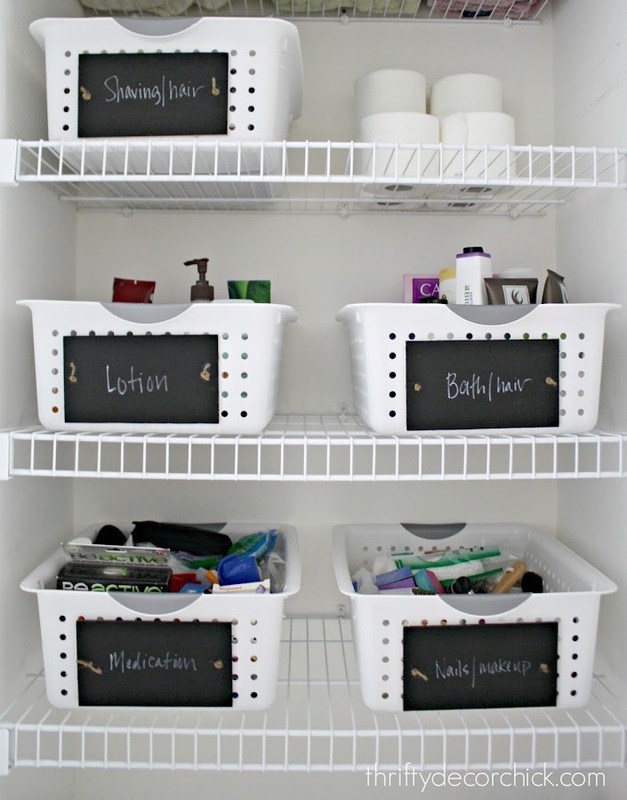 I agree that you spend less and thing stay cleaner when things are organized and labeled. Looks great!! I do this too Sarah, my problem is the 'other people' living in my house who don't put things back where they should! LOL! So even with this kind of system, I still need to re-organize every few months or so, which is of course still better than rummaging thru the cabinets everyday right?! Looks great! I like that you used practical containers too. 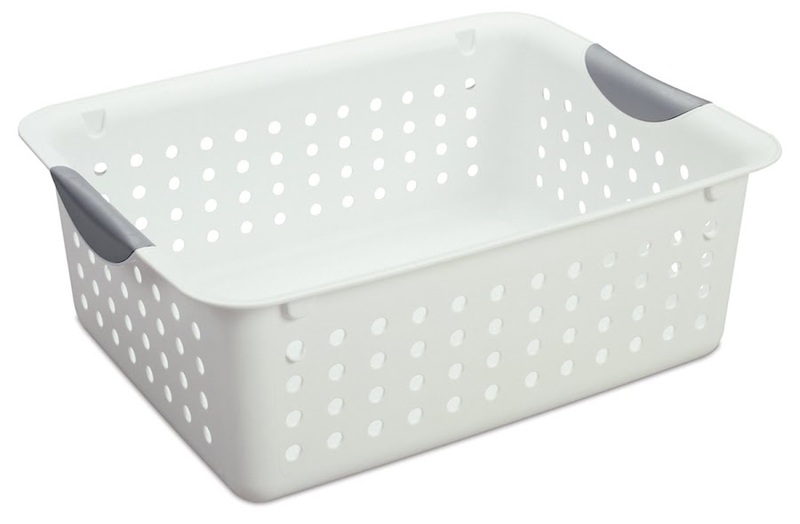 Whenever I see closets with all these fancy baskets I think, "doesn't their stuff every spill?!". I like to be able to wipe down or throw in the dishwasher quickly! I love those baskets. I use the same ones in our linen closet. 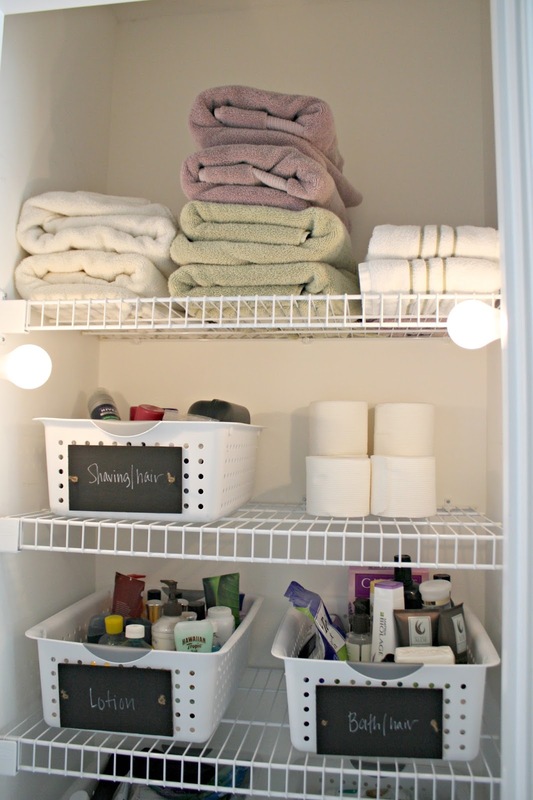 I went through our toiletries a couple months ago and really pared down-I thought! You really have me beat, though! It looks great! I love the KonMari method. My house feels so much lighter! 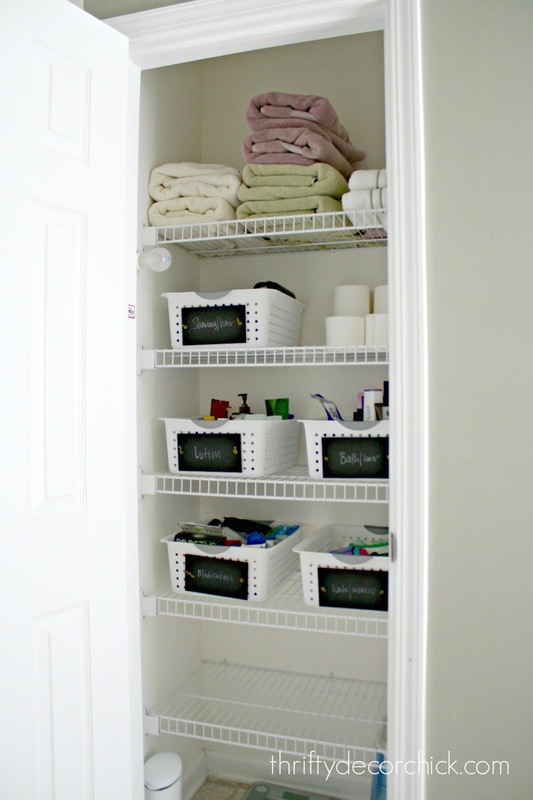 Having an organized linen closet is essential to any home. The system pictured here is an inspiration and also easy to implement. 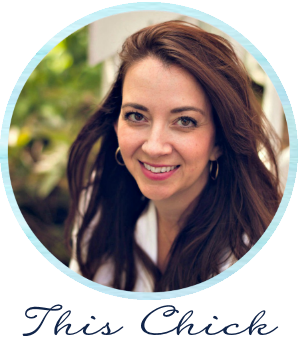 It’s important to find a system that personally works for you!